We are on Airbnb, Glamping UK and LOVE GLAMPING…..And we have a free ads on Camping uk and on QUIRKY ACCOMODATION….BUT…..if you are reading this and would like to book , just call me Roz…….tel . 07815072481 ! Better to text before April!! 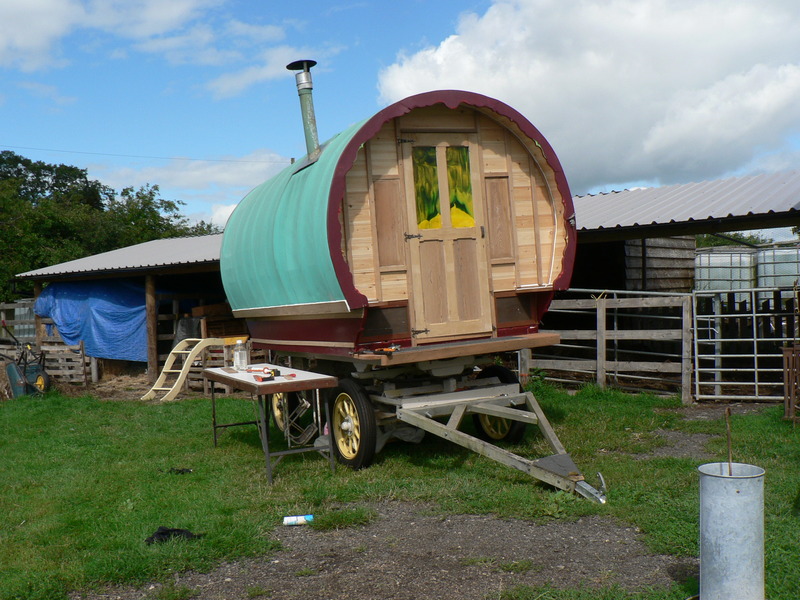 The bow top gypsy caravan is available to book for £50 per night for a minimum two night stay. The price will rise during the busy summer season, so book early! We are making improvements all the time to make our guests experience better. 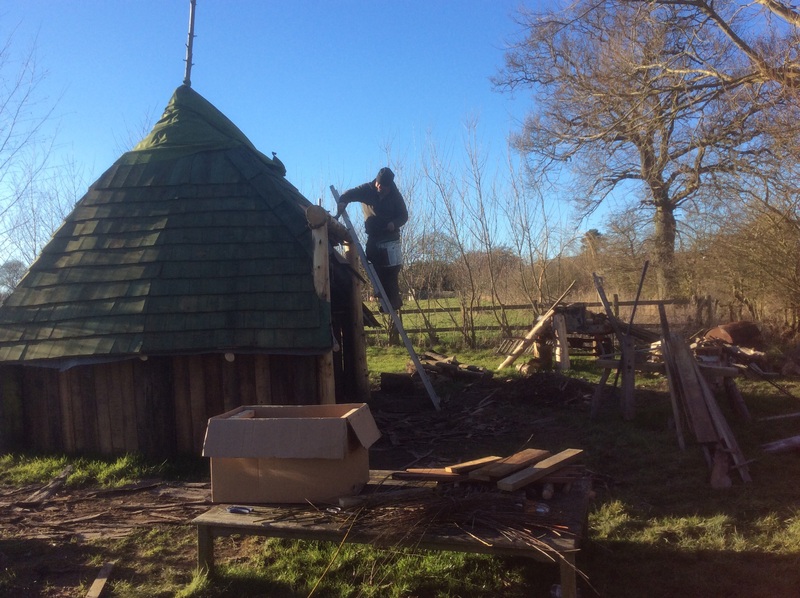 The Chimeneas for the Round hut kitchen and the silo kitchen will add much needed warmth on chilly days. Roz has started to add artwork to the Bow Top. The Hoopla Tent now has its own loo and shower block. So the gypsy wagon and silo will both have their own too. 2018…. we are busy renovating this so cute 1974 Safari Caravan, with a teashop theme. We named her Marilyn, she was covered in black and white posters and we saved a small one of Marilyn Monro! Sleeping here is amazing! So cool! Now positioned amongst the trees by a pond. Phil has built a new camp kitchen. 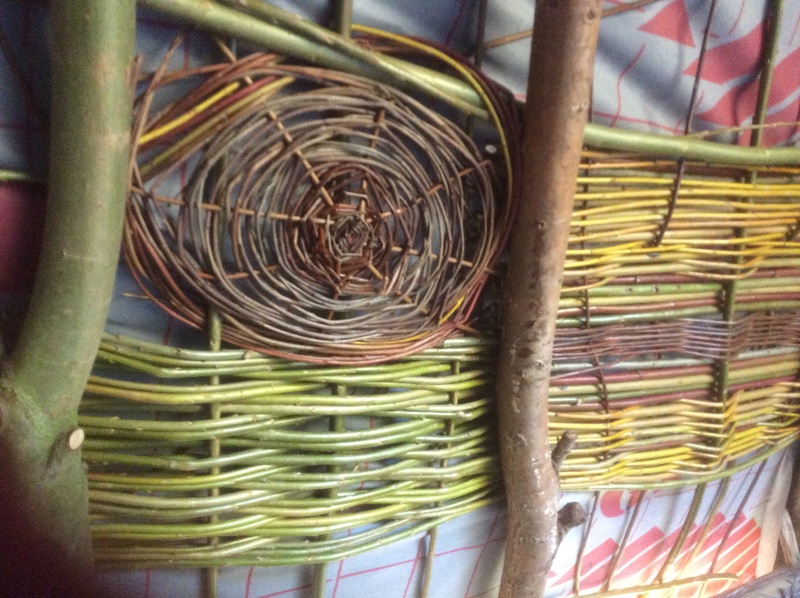 I am working on the natural inside walls which I am lining with woven willow. I just can’t believe it’s 2019 and our season will be opening soon. I am re doing this blog which serves as our main website. As it IS A BLOG anyone can comment, so please do give feedback. I would love that because I have changed the theme here and lost my previous efforts. I hope this one is clear and user friendly.